It was only a matter of time – technically it still is – but Star Wars: The Force Awakens will overtake Avatar as the highest grossing film of all-time, domestically. As of January 4, 2015, the seventh film of the Star Wars franchise has made more than $740.2 million in the United States alone and is just more than $20 million away from James Cameron’s (Titanic) science fiction epic. This past weekend, The Force Awakens earned more than $88 million and passed Cameron’s other juggernaut Titanic‘s $658.6 million total that included a 3D re-release in 2012. Those earnings also propelled The Force Awakens past the other major hit of 2015, Jurassic World. The Force Awakens still has more than 12 parsecs to go when it comes to taking the top domestic spot, with inflation taken into account. Despite a record-breaking opening night and weekend, the film is still 21 in the inflation-adjusted list. Gone With The Wind still owns the top spot with more than $1.7 billion. There are also four other Star Wars films including the three films in the original trilogy and The Phantom Menace, which also had a 3D re-release. Worldwide, The Force Awakens has made more than $1.5 billion but is only sixth all-time. The film sits directly behind another 2015 sequel in Furious 7, as well as Marvel’s The Avengers, Jurassic World, Titanic, and Avatar. The film is only $15 million behind Furious 7 and $19 million from The Avengers so it should likely pass those in the coming weeks. 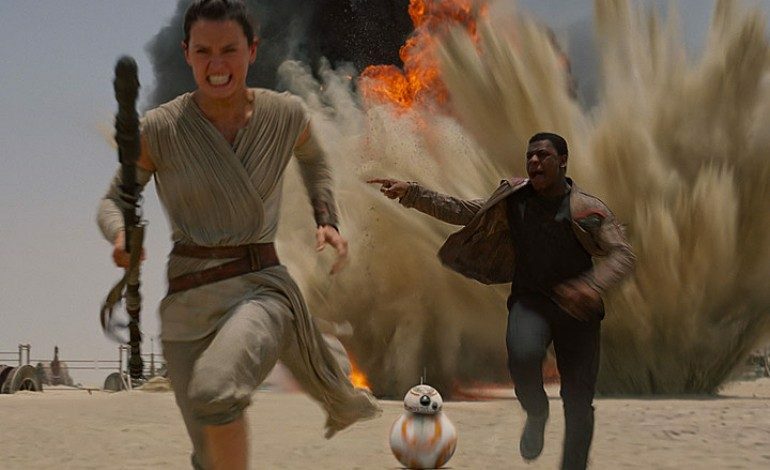 We’ll have more on Star Wars: The Force Awakens as it continues to shatter box office records.